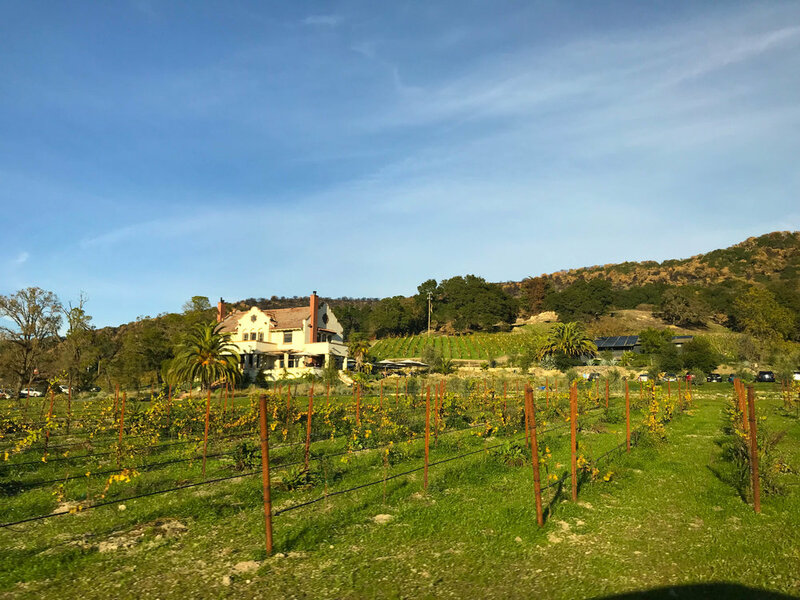 We love visiting Sonoma and Napa but are always overwhelmed by where to go in our short time we are there! So many wineries, so little time! What is the most picturesque winery? Which winery has the best wine? Is Sonoma far from Napa? It can get confusing, so let me give you a little tour! Sonoma County borders Napa County and encompasses Sonoma, Santa Rosa, and Russian River Valley. See the google map below! 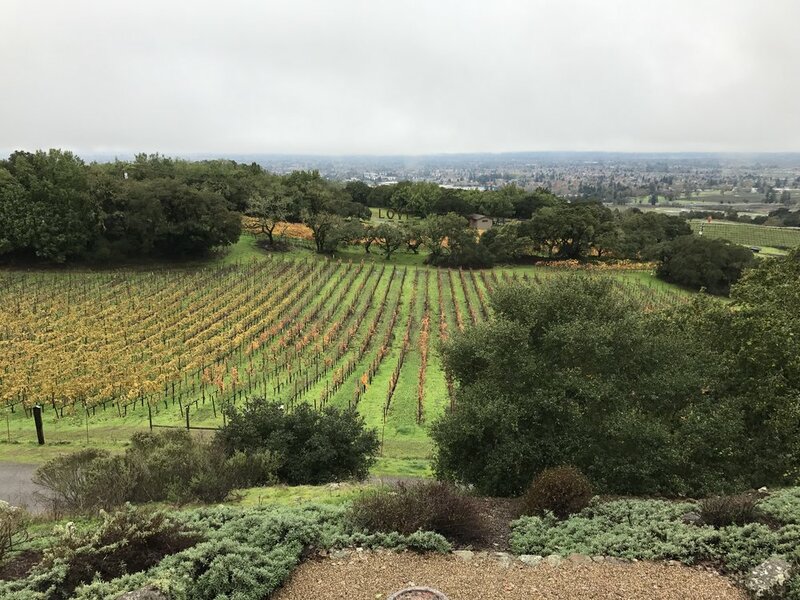 We knew we wanted to stop in Santa Rosa to go to the Russian River Brew Company, so we decided to spend the night at the Hyatt Vineyard Creek on Friday night so that we could have a full day in wine country! 1. Up the 101 through Russian River and come around via the 128 through Yountville, Callistoga, and Rutherford. 2. Drive through Sonoma on the 12. Either way, you will find wine, see our favorite wineries in Sonoma County! Food? : YES! Awesome food at that. With a drive-way lined with palm trees, this is a true California vineyard! A beautiful house sits atop the property with a fabulous patio to enjoy wine along with a few courses AND a stunning view! Inside, the house was so cute and chic, looking like it came straight out of a home and garden magazine. Scribe was on my list of wineries to visit last year but for the price of the tasting it seemed too expensive. Wrong! Not only do they have generous pours, but a delightful meal that goes along with the tasting. My favorite wine was the estate Chardonnay, not too buttery and rich, but refreshing. For $60 per person, we tried the Hacienda Menu including 4 wines paired with the perfect food. We started with olives, almonds and radishes with our first course. We were pleasantly upgraded with a second course including salad, then a third course with a chicken dish and focaccia bread! The wines were pricey, but we did get a bottle of their sparkling wine and it was one of the best I’ve ever had. I would definitely go back to this one! Not only fun to say but great wine too! Call it GunBun for short! We had some time to kill before our tasting at Scribe, so we stopped at GunBun right next door, no appointment required. It’s the oldest family owned vineyard by 6 generations and is bonded winery #64 in California. They know what they're doing here. Kathryn, our wine hostess, was lovely and went into great depth of the history of the vineyard and its founders. With 320 acres, the grounds were gorgeous and they even have cave tours seasonally ($45 per person). Specialties included more red wines, we especially liked the Cabernet and Malbec best, but also really enjoyed the cuvée as a bonus tasting! 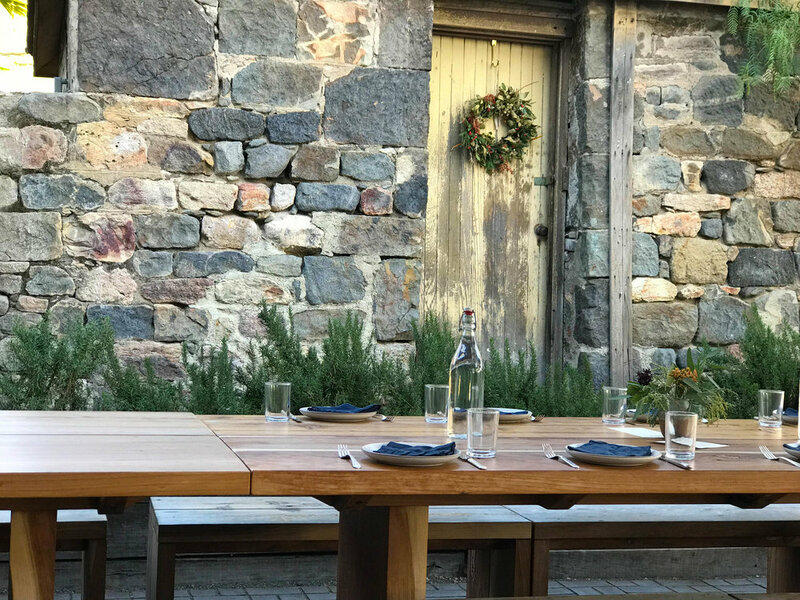 If it had been a tad warmer, we would have loved to sit on the patio. Reservations Required? : Nope, but click here for their free tour hours! Cost? : $ FREE! That's right, free tastings! No purchase required! Food? : There is a little cafe that has snacks and sandwiches. Champagne is my favorite type of wine and you can always find a bottle of Korbel in my fridge! For over 135 years, Korbel has mastered making the perfect bottle of champagne. Free tours are offered throughout the day and FREE wine tasting are provided in their tasting room. TASTING COUPON: Click here to print a Two for One Tasting Coupon for our Estate Tasting. Offer available for up to 4 guests. Cost? : $$ Wine flights range from $15-25 - try their Stature! Food? : Wine and Food pairing available by Appt or there is always a chocolate or cheese pairing available. Kendall-Jackson makes my favorite Chardonnay so we had to check it out while we were there! Also, take a stroll through their garden and say hi to the chicken coop! Food? : Wine and Cheese tastings. There are tables outside for picnics! Unfortunately, the Russian River Estate is closed as most of the vineyard was lost in the Tubbs 2017 fire. Their Kenwood location is up and running as they rebuild!